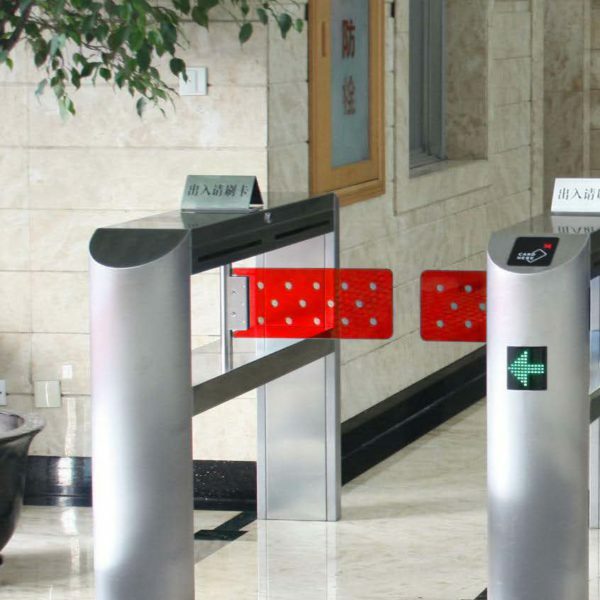 This unique pedestrian barrier installed in conjunction with any access control system provides valuable assistance to security personnel at any monitored entrance. 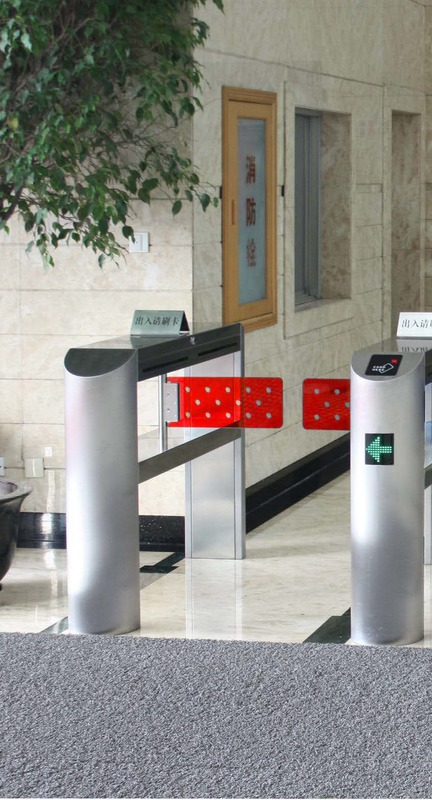 The swing barrier is available as a single or multiple lane setup and is compatible with most access control systems such as magnetic, biometric, and proximity readers. 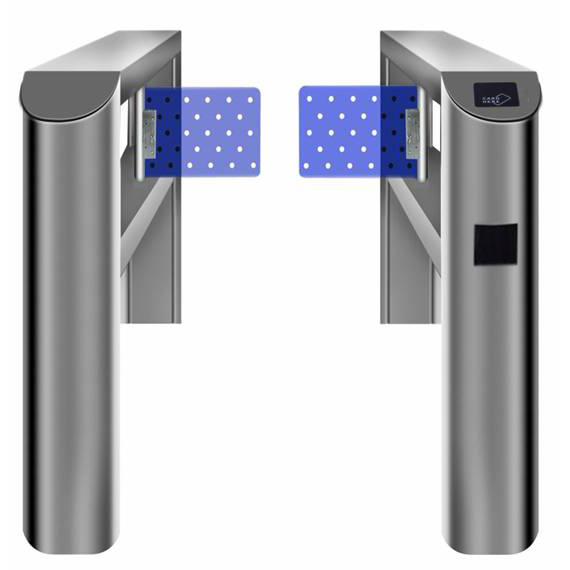 The barrier combines features like high throughput rate, user acceptance, comfort, attractive design and different levels of security to prevent unauthorised access while at the same time, assuring pedestrian safety . 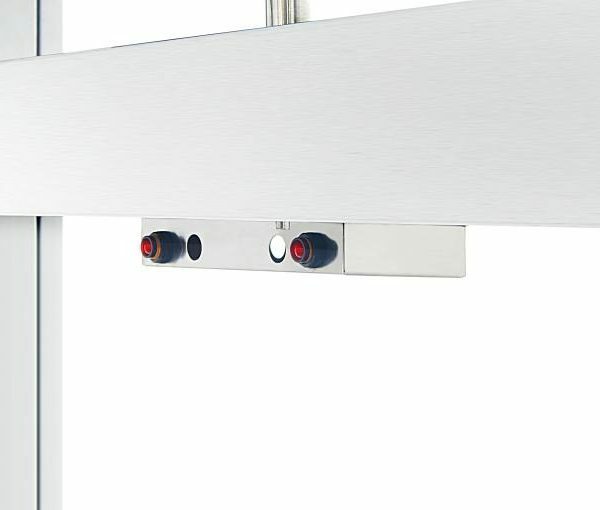 Advanced design: the design includes an elegant style appearance, a stainless steel cabinet which integrates the PLC with rigorous logic, an advanced system of detection and tracking sensors, the hieroglyphic symbols and both audio and visual alarms. 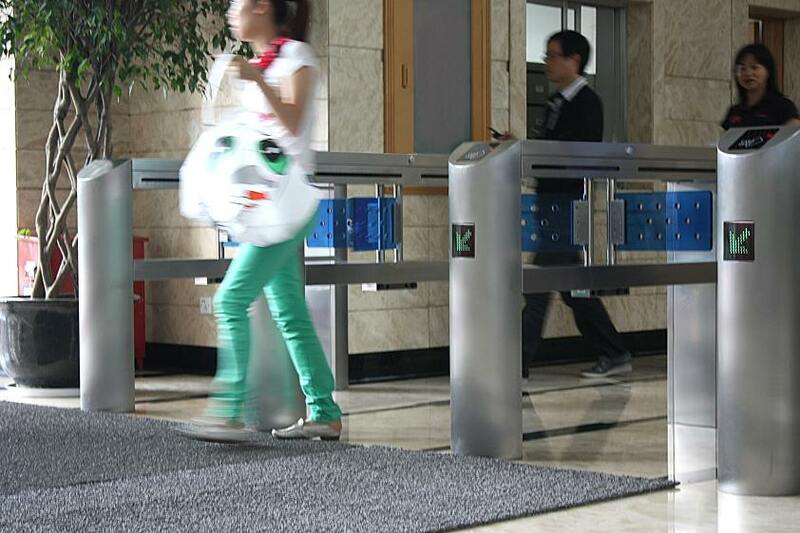 Finishing: the standard swing barrier is finished in brushed AISI 304 stainless steel and ACRYLIC arms. 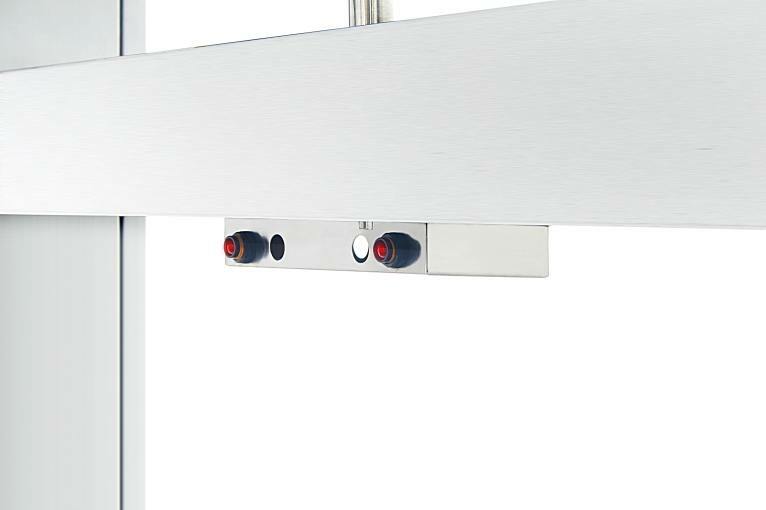 The top cover of the unit can be finished with marble, stainless steel or other materials while the arm has several colours options. 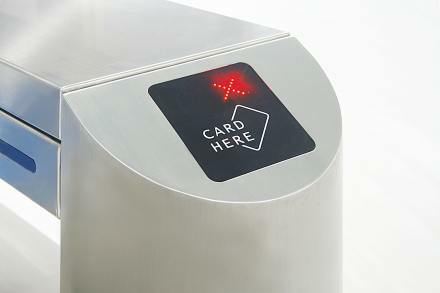 Hieroglyphic symbols: the swing barrier is equipped with two types of hieroglyphic symbols to inform authorization permission and access situation. 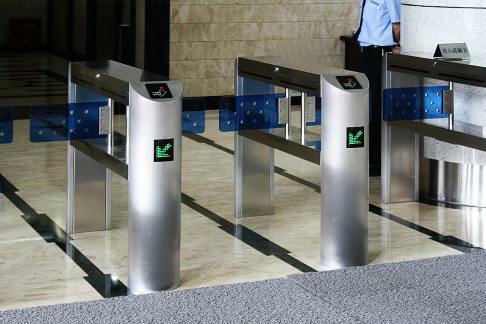 Detection logic and alarming: the standard swing barrier is equipped with several sets of detection cells on each side of the unit. 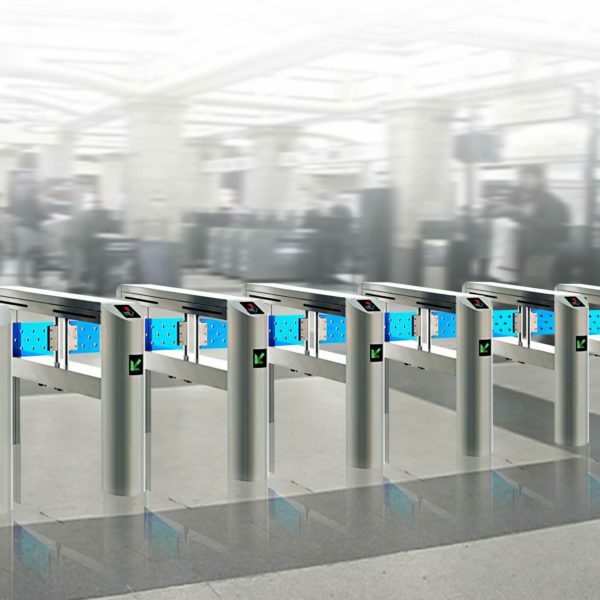 All detection cells are in the position where they will most accurately detect intrusions. When detecting any intrusion, the alarming will be triggered and will output to an audio and visual alarming sign. User safety: if an obstruction is detected during closing, the arms will stop its movement to prevent the user from being clamped. 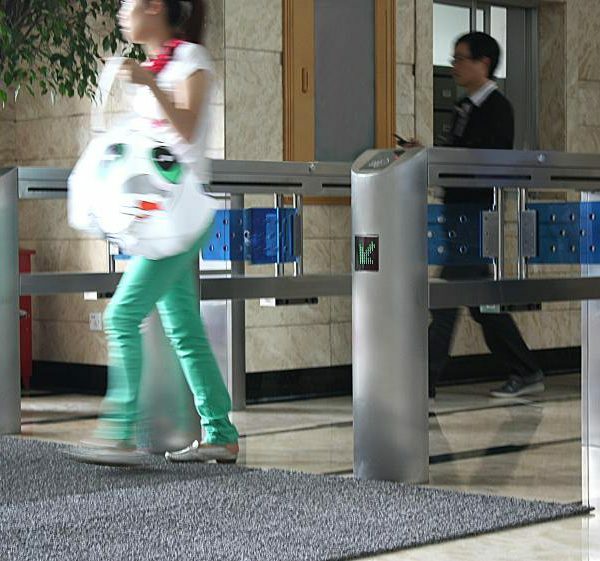 The speed of the door wings is adjustable within the limits of safety standards. For maintenance reasons, an internal counter is integrated assuring service and maintenance on time. Emergency: the swing barrier is a failsafe security barrier. In case of power failure the arms will open automatically. 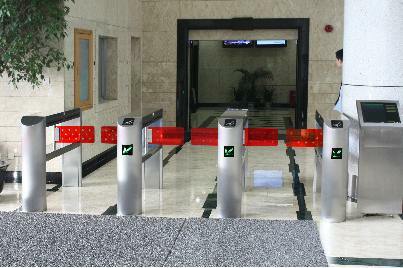 If a fire alarm system or other alarming signal is input by according ports, the barrier will also open automatically. Customised finish: we offer a full design service for custom enclosures, as well as alternative colours and materials for arms. Disabled access: wheelchair width lane options make this swing barrier compliant with most international disabilities regulations without the need for a separate passage. 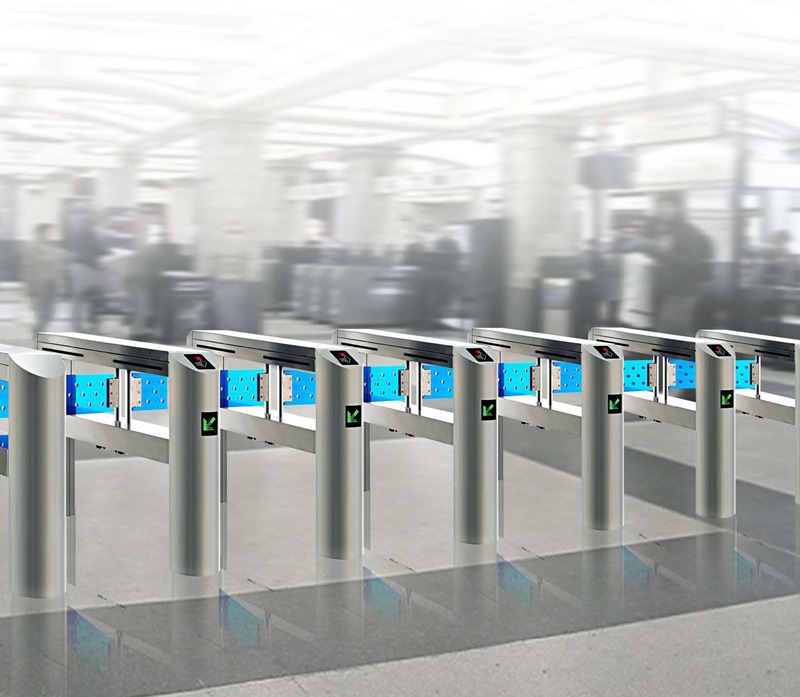 High speed passage rate: flexible working mode, suitable for different manager type.